TNT (The New Trend) is a Canadian based multi brand retailer founded in 1992. TNT launched its first women’s flagship boutique on High Street, Armadale in 2016. 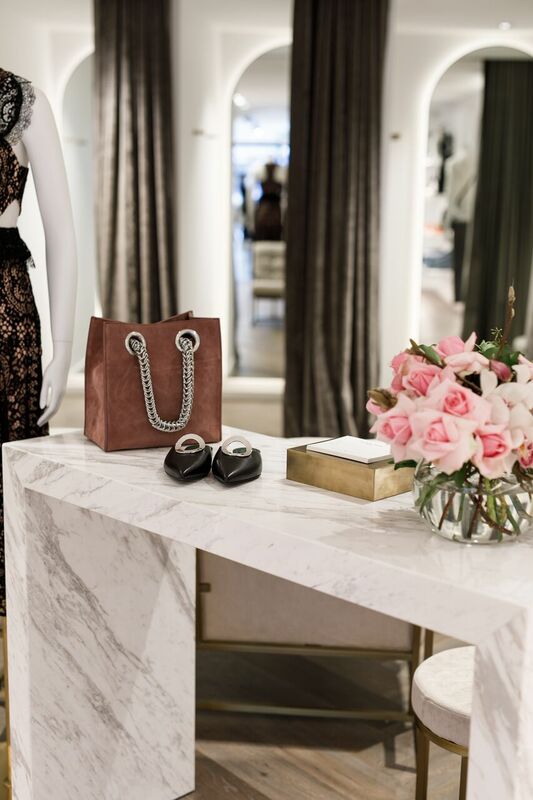 The store features a curated selection of international designer brands, around which we designed the interior space. The physical shape of the store is a long and narrow, and finishes utilised within are reflective of the designer garments. Joinery construction throughout predominantly features white Carrara marble, the walls are crisp white with soft led illumination from above, striking black garment racking and track lighting. Entering the rear section of the space is another zone, which houses accessories and fitting rooms. This space features warm herringbone timber flooring, multiple curved mirrors with rear illumination, marble accessories shelves and brushed gold highlights throughout. The interior space is a true reflection of the product held within, and a perfect example of our work – designing the store interiors to suit the client and the brand.